New Offer Save 20% Hotels.com Gift Cards! 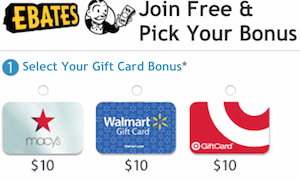 This post may contain affiliate links from our advertising partners, such as American Express. Read my Advertiser Disclosure policy here. Some of the offers below may have expired or are unavailable on our site at this time. Check your American Express accounts for the following Offer where you can save on Hotels.com gift cards! Be sure to save this to all your eligible Amex card/s so that you can save even more! This is a nice deal, 20% back on $50 Hotels.com gift card! 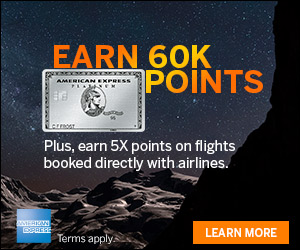 New Amex Offer Save On Hotels.com Gift Cards! Hotels.com gift card, Spend $50, get $10 back, expires 5/8/18. If you are new to American Express Offers for You or don’t have an American Express card yet, start here. You must have an eligible American Express Card and then add the Offers For You to your registered card to get the statement credit. If you use Hotels.com, this is a no brainer! 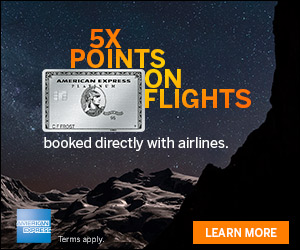 Add this one to your Amex card/s and save on your next trip! Enjoy! Editorial Note: Opinions, analyses, reviews or suggestions expressed on this site are those of the author’s alone, and have not been reviewed, approved or otherwise endorsed by any card issuer. This post was accurate at the time of posting, offer may be unavailable on this site at a later time. For details on current offers visit the card issuer’s site. The Weekly Flyer writes about travel from a business traveler perspective. He travels the world every week accumulating points and miles along the way. Read my Advertiser Disclosure policy here. Earn 60,000 Membership Rewards® points after you use your new Card to make $5,000 in purchases in your first 3 months. Terms apply. Advertiser Disclosure: The card offers that appear on this site are from companies from which Points, Miles & Martinis, receives compensation. This compensation may impact how and where products appear on this site (including, for example, the order in which they appear). Points, Miles & Martinis does not include all card companies or all card offers available in the marketplace. Editorial Note: Opinions, analyses, reviews or suggestions expressed on this site are those of the author’s alone, and have not been reviewed, approved or otherwise endorsed by any card issuer. Points, Miles & Martinis takes no responsibility for any decisions and / or outcomes resulting from readers actions. This blog is for entertainment purposes only and under no circumstance should be considered as suggestions or advice or a course of action to taken by the reader. Readers are solely responsible for all of their decisions and especially regarding their own credit. Points Miles & Martinis takes no responsibility for decisions made by readers or as a result of anyone visiting this blog. Enter your email to receive the latest travel deals, news and updates direct to your inbox.